The 4-star award-winning Stoke by Nayland Hotel, Golf & Spa is situated in 300 acres of rolling countryside, in a designated Area of Outstanding Natural Beauty (AONB). The hotel is ideally positioned in the middle of the Ipswich, Bury St Edmunds and Colchester triangle and is only 45 minutes from the M25 and Stansted Airport. 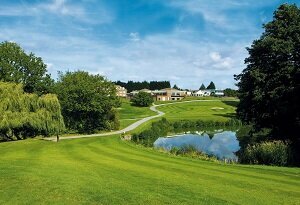 To find about more, see Accommodation at Stoke by Nayland Hotel, Golf & Spa. The hotel offers 80 contemporary hotel bedrooms and a wide range of facilities including, the 2 AA Rosette Lakes Restaurant, a new Mediterranean themed restaurant Medana Lunch at The Gallery, two 18-hole Championship golf courses and driving range, nine function rooms offering superb views over Constable Country ideal for weddings, celebrations and conferences and a hi-tech fitness centre. 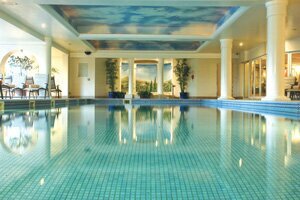 There is also a luxurious spa within the hotel, where you’ll find a heated indoor swimming pool with spa temple, sauna, steam room, exotic Rasul and Hammam treatment rooms, a bistro and a whole range of health and beauty therapies on offer. 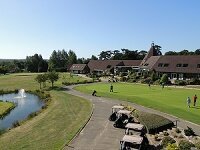 To find out more about their bespoke wedding packages, see Weddings at Stoke by Nayland Hotel, Golf & Spa. There is extensive free parking, free Wi-Fi available throughout the hotel and the Pippin Shop onsite provides all the essentials you may require plus an array of handmade gifts. Banish the winter blues with a night away in a cosy hotel from just £37.50pp! Who says you can only celebrate your love on Valentine's Day? Treat your loved one to a couples retreat, spa day or romantic dinner this February and you'll be entered into a draw to win a luxury Champagne hot air balloon ride. Just £15.00pp. A real blast from the past! Boogie the night away at our 80's-themed disco and refuel with our delicious bar menu available on the night. Spoil Mum with a delicious 3-course carvery lunch prepared by our award-winning chefs. Only £25.00pp.